Local markets have grown exponentially in popularity as people have begun to understand the importance of supporting local economies, local produce and local people. These days local markets are held throughout Australia and the Margaret River Town Square Markets in the the town Square are a particularly popular example. Held every Sunday in summer, the Margaret River Town Square Markets offer a selection of the best in local produce grown throughout the Margaret River Region. The region has become a culinary hub of Western Australia, and there is no better place to see the products of the region showcased by local farmers and business people. There are organic fruit and vegetables, homemade cakes and pies, spices and sauces and even cooked food on offer. Everything sold at the Margaret River Town Square Markets is required to be locally grown or produced, and this means it is also a great place to find unique jewellery, clothes, art and a huge range of crafts handmade by locals. So for the perfect Margaret River gift, there is no better place to go for great bargains and something completely different. Tourists are also flocking to the Margaret River Town Square Markets to experience the special local culture and take home souvenirs of their stay in the region. If you are after a 100% farmers market which is just about food and wine, then check out the Margaret River Farmers Markets. 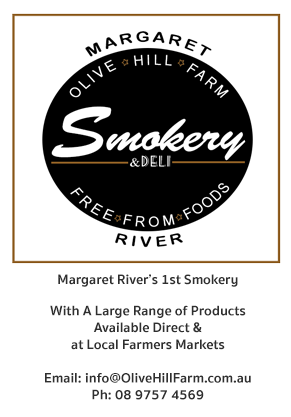 If it is a range of local products and produce you are after, be sure to check out the Margaret River Town Square Markets in the centre of Margaret River and support the local economy. Location: Top of Margaret River town opposite Chem Mart pharmacy. Hi Robin. Sorry I do not know of a directory but the best bet is to contact the about the Margaret River Town Square Markets is the Organizer – Al Wilkie al@nexusbookkeeping.com.au he would be the best person to ask. How do I contact one of the stalls at the Sunday market? I bought a couple of tops at this particular stall while I still in WA, but now I live in Victoria. The tops are now fairly worn out and I can.t find anything comparable. Do you know of a directory so I could identify the stall and contact the owner? HI Tan, From memory the markets kick off at 9am. They have been having an amazing display of local produce and craft. I hope you enjoy your trip. Hi, i am really interested in this local market and i am going to MR on 4 of dec from perth. May i know the local market opening hour? Wow..i am getting excited now. Thanks.